Want to Design a Better Future by Learning directly from T. Harv Eker for 3 Intensive Days? T. Harv Eker teach people how to master the Wealth Mastery, winning the ‘money game’ and get on the path to financial freedom. He has helped thousands of people to gain master ‘money and relationships’ with spouses, business associates and kids, inner peace and happiness. What Can You Discover and Master in Millionaire Mind Intensive? Eker’s high-energy, ‘cut-to-the-chase’ style keeps his audience spellbound. T. Harv Eker’s motto is "talk is cheap" and his unique ability is getting people to take "action" in the real world to produce real success. T. Harv Eker is the son of European immigrants who came to North America with only thirty dollars to their name. He grew up in Toronto, but spent most of his adult years in the United States. Money was scarce throughout his childhood, so at thirteen, Eker began his work career. As a teen he delivered newspapers, scooped ice cream, sold novelties at fairs, and suntan lotions at the beach. After a year at York University, he decided to take time off to pursue his dream of becoming a millionaire. During his early adult years, he lived in five different cities, including Lake Tahoe and Ft. Lauderdale. He had a variety of jobs and started more than a dozen different businesses, but regardless of what he did, or how hard he worked, he just couldn’t achieve success. It was at that point that Eker began developing his theories about people’s mental and emotional relationship to money. He realized that his “inner-money thermostat” was set for a specific amount of financial success, and that everyone else had a financial set point too. His most profound discovery was that this money blueprint could be changed. Using the principles and practices found in his book, Secrets of the Millionaire Mind, Eker reset his own blueprint to not only create success, but to keep it and grow it, and become a multi-millionaire. During his years of struggle, Eker vowed that should he ever get rich, he would help others do the same. He has kept his promise. Today, he is the president of Peak Potentials Training, one of the largest and fastest-growing seminar companies in the world. He has already touched the lives of over 500,000 people, helping them move closer to their goal of true financial freedom. Over 1,000,000 participants have come from all over the world to attend T.Harv Eker’s seminars. His events change people’s lives! • Are you in the relationships you’ve longed for? 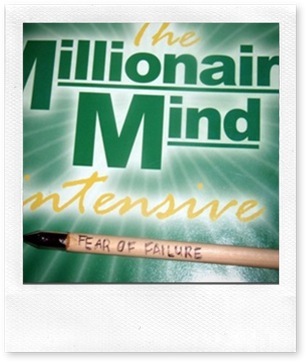 T Harv Eker’s Millionaire Mind Intensive program is in Kuala Lumpur from 17 to 19 June 2011. Register early to reserve your free seat at millionairemindmy.com/sme . This’s for Millionaire Mind Intensive Malaysia 2011 – General Ticket without Course Material and available for limited time period only. Don’t wait and grab your ticket now. This entry was posted on Wednesday, June 1st, 2011 at 12:01 am	and is filed under Advertisement. You can follow any responses to this entry through the RSS 2.0 feed. Both comments and pings are currently closed.